Sick days among Perth and Kinross council staff are continuing to rise, according to a new report. The average number of days each staff member takes off work every year has risen from 9.63 to 10.74. The tally means the council has fallen five places in comparison with other local authorities, from sixth best performing to 11th out of 32 Scottish councils. For the second year, Perth and Kinross has been ranked 30th for absenteeism among teachers with the average growing from 7.81 days to 8.06. The Scottish average for teachers is 5.04 days. Mental health issues are responsible for 27% of the absenteeism and are the most common reason for being off work. Unions said public sector cuts were pushing workers to “the absolute limits”, leading to the rise. The figures are contained in the Local Government Benchmarking Framework 2017/2018 report, which compares Perth and Kinross Council’s performance to other local authorities. She goes on to detail the “robust policy framework” being used to address the problem, including a wide range of support measures and wellbeing initiatives. “Our members are working longer and harder for less and with fewer resources – they are being pushed to their absolute limits,” she added. “In social care in particular, new shift patterns have had a detrimental impact on the health of some of our members. 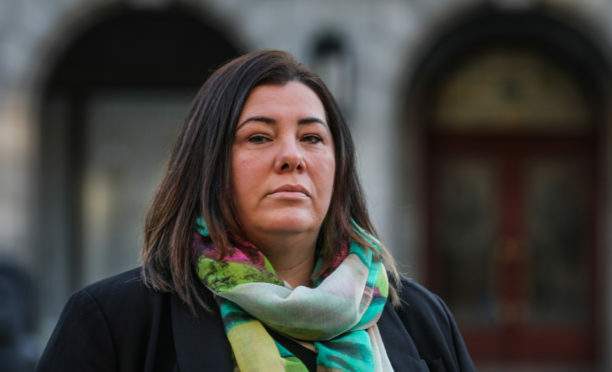 Johanna Baxter, bargaining chief for council staff union UNISON, said the absence data was unreliable because the recording process varied between councils. “These figures don’t take into account the fact that 15,000 jobs have been lost from Scottish councils in the last five years, leaving less staff who are facing more pressure as they struggle to keep our vital public services running,” she added. She said their work had already produced positive results. Teachers union the EIS did not respond to a request for comment by deadline.